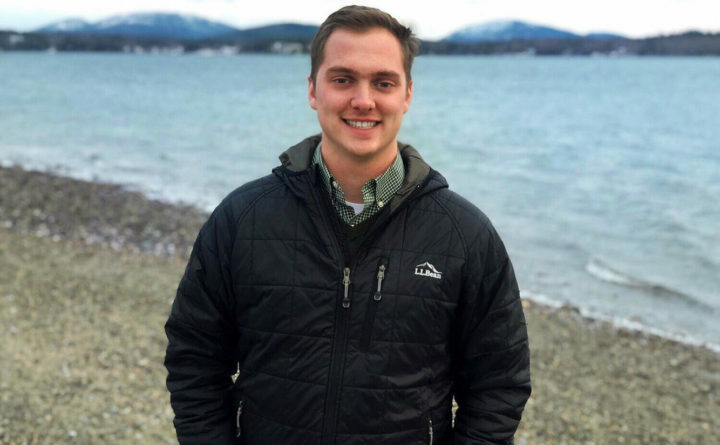 Republicans have chosen Thomas White, a recent graduate of Maine Maritime Academy, to run for an open seat in the Maine House of Representatives that represents parts of Bangor and Orono. During a caucus Wednesday night, Republicans who live in House District 124 chose White, a 24-year-old Bangor resident, to run for the seat that was previously held by Aaron Frey. Frey, a Bangor Democrat, recently was selected to replace Gov. Janet Mills as the state’s new attorney general. A special election will be held for Frey’s seat March 12. Earlier this week, Democrats in the district chose Joe Perry, a Bangor business owner and former state lawmaker, to run for the open seat in their own caucus. The district includes the easternmost neighborhoods of Bangor, including some of the tree streets, and a rural section of Orono. After graduating from the international business and logistics program at Maine Maritime Academy last year, White works for the Procurement Technical Assistance Center, a program hosted by Eastern Maine Development Corp. that helps small businesses across northern and eastern Maine apply for government contracts. Last week, White said that his relative youth would help him bring fresh ideas to the Legislature, and that he was also committed to working across the political aisle. He is particularly interested in lowering energy costs and other measures that would attract businesses to Maine and entice young people to stay here. Two other Republicans had expressed interest in running for the District 124 seat, Jim LaBrecque and Daniel LaPointe, but only White and LaPointe ran for the nomination at the caucus on Wednesday night, according to Brett Baber, chairman of the Penobscot County Republican Committee, which coordinated the caucus. Baber declined to provide the vote totals from the caucus. It could be an uphill race for White, as the district has leaned Democratic in recent elections, sending Frey to the State House for three terms and re-electing him with 63 percent of the vote last November. Perry has said that his four terms in the Maine House and three terms in the Senate give him the experience and institutional knowledge to push for lawmakers to lessen the financial burden on cities such as Bangor. The deadline for nonparty candidates to submit their names for the March 12 race is Friday. They would need the signatures of at least 50 registered House District 124 voters.